In the pre-Netflix age of broadcast television in the US, Nielsen’s rating for viewership of TV shows was the primary metric for establishing the popularity of content. As the digital age took hold and viewing habits became more diverse, so did Nielsen’s methods of gathering viewer data. Nielsen’s current system - known as Live+3 - allows for a three-day window for viewers to consume content via broadcast or DVR to gauge a more accurate measurement of a show’s audience numbers. But, while Nielsen’s methods may now reflect digital viewing habits more precisely, they are not entirely reflective of a show’s audience, especially among millennials. The same can be said for the narrative that often surrounds a TV show’s fortunes which can be often be mired in the mindset that a prime time show competes only against others in the same time slot. While this head-to-head framing still largely applies to live television, news networks and reality TV, when it comes to written television and its considerably longer viewer half-life, the story is very different indeed. Written television is the lifeblood of both cable networks and subscription-based services. They galvanise the identity of a channel/platform and are often considered an important factor in a landscape that has 72% of American television viewers paying for a cable and/or streaming service(sourced from Global Web Index from audience figures between Q1 2015 – Q1 2017). 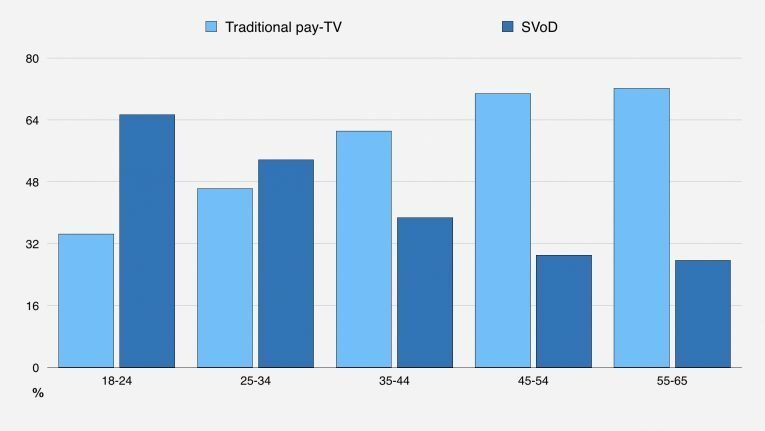 The lead preference amongst younger audiences is to watch content via DVR but the main take away from the above figures is how slight the preferential differential is between the various delivery methods. Likewise, a reasonable conclusion to draw from a near equal spread of viewing habits is that young adults view content at their convenience and while broadcast remains a key part of their viewing experience, it is by no means mainstay of it. Indeed, according to the Nielsen’s own figures, ‘traditional’ television viewing amongst the 16-24 age group has dropped by 10.9% year-on-year since 2012. This could be due to other activities, such as social media and gaming, but streaming services are a likely drain on broadcast viewing and it is this that makes it increasingly splintered process to generate an accurate metric for a show’s popularity. Also, the modern propensity for binge viewing of television series means that viewers consuming content in this manner will elude current viewer ratings altogether as these viewings will take place long after the initial broadcast. Nielsen has widened their net by introducing the Live+7 rating service (a seven-day window from broadcast for DVR playback) which further allows for time-shifted viewing. 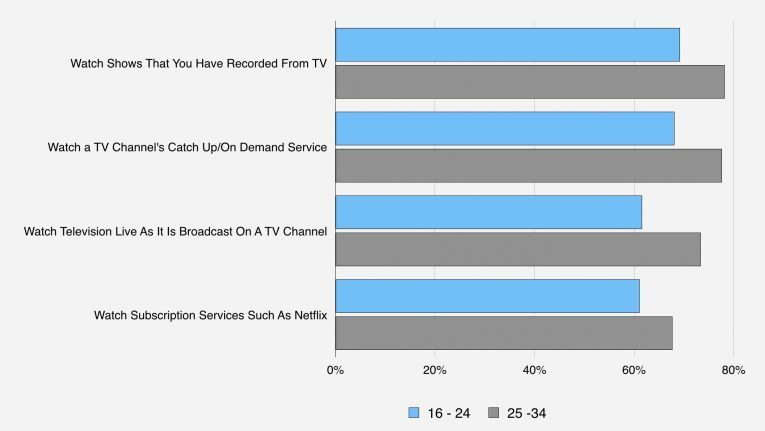 However, there is another type of viewer among the millennial audience which escapes this data gathering method completely, especially where hit cable shows are concerned. Is Winter Coming for Cable Television? Like one of Daenerys Targaryen’s dragon swooping over the horizon towards the unsuspecting Lannister army, a failure to build internet-only viewing of TV shows into viewing figures is devastating in terms of establishing a modern show’s true audience. 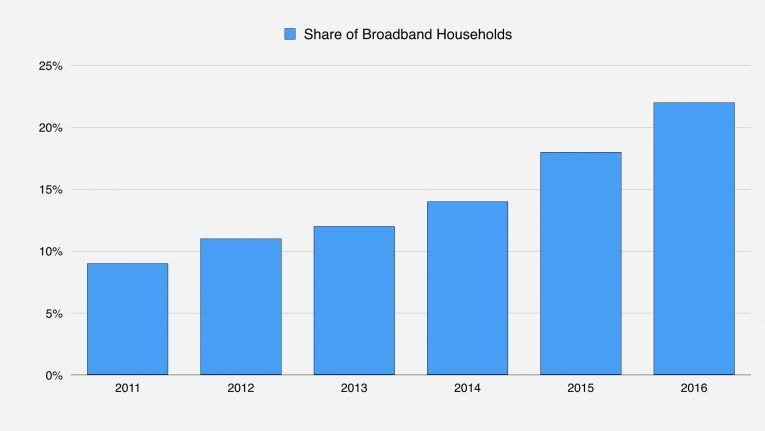 Viewers who have abandoned cable services or have never adopted them are on the rise, in fact according to data from Rapid TV News & TDG the increase in Cord-Nil households among broadband users has grown exponentially over the last five years. And it is these ‘cord cutters’ combined with time-shifted viewing that can create a fractured view of television audiences. 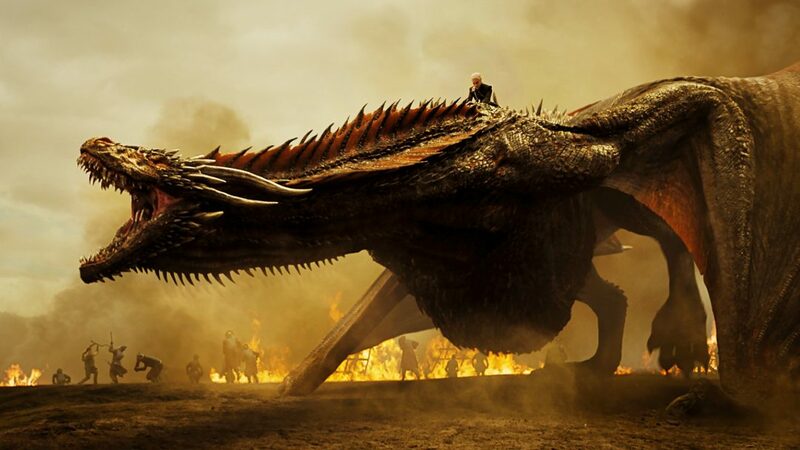 While a mega-hit like HBO’s 'Game of Thrones' can currently lay claim to the Iron Throne in cable viewership when it gathered 10.6 million broadcast viewers for its Season 7 premiere, it also gained 5.5 million more from Over The Top and Video on Demand services and a further 5.4% in audience numbers thanks to illegal streaming/torrenting. The diverse viewing habits of millennials have been embraced by cable services to give popular shows a significant ‘eyeballs’ boost, while more niche shows can prove their worth by driving VoD and adoption of streaming services. As a result, written cable shows no longer have to go head-to-head in a traditional rating battle in order to establish themselves with audiences. It would be inaccurate to suggest that the war for attention share is no longer a concern for written television content but it does now exist in a television landscape where the means to find an audience are significantly greater in the streaming age. Indeed, with the news that Disney will be entering the streaming market with two new streaming platforms in 2019, the actual battles fought by cable and streaming companies in the future may actually be over the services themselves.